The modern day weightlifter is accused of being increasingly narcissistic as the number of social media outlets increases. This is a matter of opinion and it’s not my intent to argue against this other than by saying that weightlifters have been boasting about their accomplishments since people started picking heavy things up off the ground. It’s just that their legacy needed to be passed on through a far less efficient oral tradition instead of “hash tagging” 15 second snippets of themselves and then electronically uploading these snippets to the internet. Hey, I get it. I’m with it. I’m hip. That’s why I put the young people on the team in charge of our Occam Athletics instagram account. But as far as I’m concerned, I’m always going to default to ways of communicating that provide a little bit more insight and effort. I’m of the opinion that a 3 minute long youtube video set to music or a blog post serve as a more complete snapshot in time. I look back on these memories and they help me look towards the future; help me find what I’m looking for. Hard work is not special. Dedication isn’t special. Anyone who’s been halfway decent at something that they care about is going to work just as hard or harder than you. Figuring out one’s purpose, on the other hand, IS special. 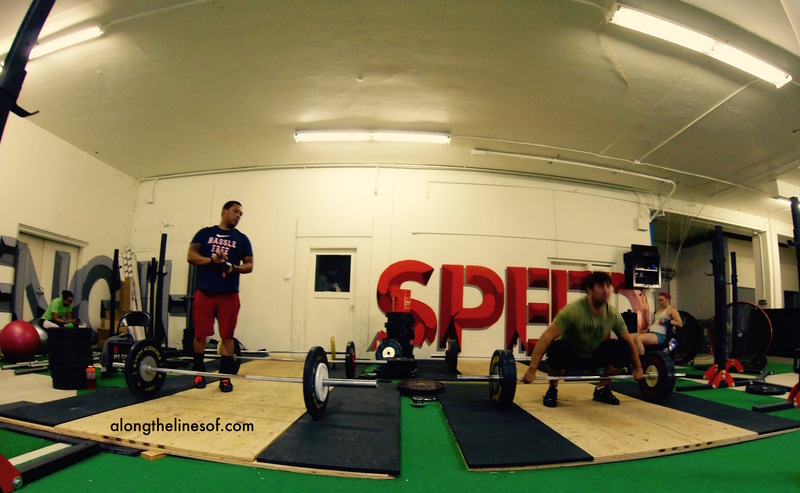 On your way to becoming a decent weightlifter, you’re going to develop a strong sense of self. It simply comes with the territory. You’ll need it. Along the way you’re going to meet people that will try and tear you down; bring you down to their level. For every one person that’s tried to reach out and touch the sky there are several more unremarkable individuals who will desperately grab at his heels. Your sense of purpose and self will be the only thing that will protect you. The team is settling down nicely in our new turf. It feels like a fresh start. I anticipate that we’ll be in our own space (Occam’s Lair) within a couple weeks or so. Once that happens, we’ll be unstoppable.